If you have ever wondered how girls look so pretty and perfect most of the time, think of the time when they said,in almost a whisper, ” i’m going to the ladies room/washroom. Be back in a jiffy!” with a captivating smile. Thats right. That is the room that i prefer to call the “House of the pretty” . Practically everything, from a touch up, to changing one’s hairdo, to wiping off the Smeared mascara after an emotional moment…or readjusting one’s lipstick after a passionate one [;)] are taken care of , in that humble place. Personally, i also enjoy going to the washroom in Inorbit Mall, Vashi, beacuse the music they play there is better than the stuff they play in the Food Court. Seriously! And that is perhaps the reason why the ladies’ washrooms are all hip and swanky in malls…and guess what? Lately they include a “baby change section” too, where a mother can tend to her baby, change diapers..and so on. So, in a way, it is the ultimate hotspot for women. Once i asked a guy friend if their toilet trips were as eventful. He gave me the blankest look possible. In fact when a group of both male and female friends go out, the male counterparts keep wondering why girls have to “take a leak so often” so as to speak. That is before they understand, what really goes on. But, underlying this phenomena, is a fact that applies to most things. For example,The green room, is the place where artists are themselves, without the masks. Similiarly, for once, women don’t HAVE to look beautiful in a washroom, but can be themselves for a while, and after gaining their presentableness, back into the world of faces. 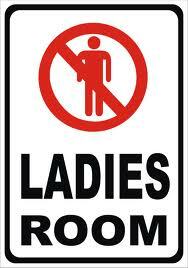 Also after a lot of shopping, women generally go to the washroom, why ? Well, if they bought a lot of clothes to make them look good, a pretty face is certainly necessary for the complete picture. Why not soothe the ego from now itself, a constant reassurance, that the face is worth the clothes (and the money spent on them) and vice versa. thats so true. 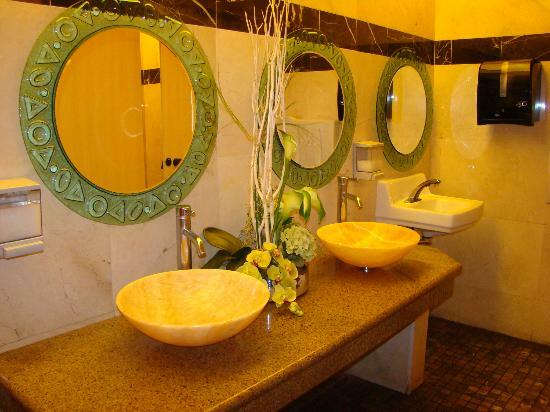 a trip to the ladies room is an inevitable part of a trip to anywhere!! You’re becoming a complete blogger! Keep up the good work. Enjoyed reading your recent blog..